can work together to create a meaningful outcome in response to an injustice. Six high school seniors burnt down an historic covered bridge in a small town. Burning Bridges documents the Restorative Justice Conference in response to that crime. Audience members will see many aspects of the entire Restorative Justice process. Q and A and Networking to follow the film. Victor Rios, Associate Professor of Sociology at the University of California, Santa Barbara, was not always as privileged as his current academic rank would suggest. The above PBS video news story and its accompanying print article recount his journey from gang life to the ivory tower, but the most impressive thing these reports reveal about Dr. Rios is his ongoing commitment to help young people struggling in situations similar to the ones he faced growing up. Rios’ life in some ways mirrors those of Chicano writers Luis Rodriguez and raulrsalinas (que en paz descanse) who both endured poverty, violence, and incarceration and who never ceased helping people from their barrios and beyond. Rodriguez and salinas have each been able to do incredibly effective work to help end violence and encourage impoverished youth and gang members to see that they have the potential to live differently. These men not only survived the addictions, violence, and poverty that plagued their early lives; they also found ways to write and speak about their trials, and each in his own way went back to the neighborhoods where they had grown up and helped other people. Rodriguez founded Tia Chucha’s Centro Cultural and Bookstore in Sylmar, California, and salinas established Resistencia Bookstore (my favorite bookstore in the whole world) and the Red Salmon Arts Collective in Austin, Texas. Both Tia Chucha’s and Resistencia serve as gathering places, educational centers, and safe havens for activists, community members, and youth. They host more events each week than any one person could ever find time to attend, and their doors stand wide open to welcome those who need a supportive network of friends and a place to explore their beliefs about social justice issues. Rodriguez continues to write books and to help current and former gang members create peace treaties in their neighborhoods, and salinas wrote, performed, lived, taught, and served as an activist organizer in the barrio in Austin until his passing on February 13, 2008. Rios’ work, like Rodriguez and salinas’s, is undoubtedly having a significant impact on the lives of the young people with whom he works, and he is reshaping the scholarly discourse surrounding gangs, policing, and juvenile detention. Watchale. This profe has much to teach all of us. This morning’s New York Times carries the kind of story which fills the nightmares of all prisoners’ families. 350 (or 355 according to the Associated Press) prisoners died when the building which confined them caught on fire. Official reports say that the fire was started by a prisoner burning his mattress, but the Associated Press casts some doubt on that inciting incident. What is clear is that only six guards were responsible for over 800 prisoners on ten cell blocks and that they shared only one set of keys among them. Regardless of the cause of the fire and the intentions of the guards in this moment of crisis, no one could have successfully evacuated even a significant percentage of the prisoners from the inferno that consumed hundreds of them. This blatant disregard for the safety and human rights of hundreds of people speaks volumes about cultural attitudes about incarcerated people. In so many places and cultures, the lives of prisoners are not worth protecting–at least to those in power. Both of the news articles I reference above include observations about the families of these burned men trying to identify the often unrecognizable remains of their loved ones. Of course, even the families of the prisoners who survived the fire must be terrified and devastated. Their fathers, sons, and brothers will continue to be held by the government that created the circumstances of this tragedy, and it is likely that their legal battles could be indefinitely delayed while officials attempt to sort out the chaotic legal and structural aftermath of the fire. I have several dear friends who are imprisoned inside the Louisiana State Penitentiary at Angola, and while Hurricanes Katrina and Rita ravaged the state, Angola prisoners were by turns used as labor to sandbag the perimeter of the prison and building tent encampments for the prisoners in other facilities who were evacuated to Angola when those prisons and jails were flooded. It was a terrifying time for a great many prisoners and their families because even those prisoners who were safe and whose families were not in the midst of the crisis in New Orleans had few avenues for communication with one another. It took many months for some of those families to receive word from one another and to find out who had survived the storm and who did not. The hurricanes also destroyed or damaged a great many legal records, and reports abounded of men and women who were due only to spend a night or two in jail enduring months of incarceration while the state attempted to sort out where everyone was physically and where their cases lay within the court system. Many of us with loved ones on the inside fear for the safety of our family members and friends. The types of prison violence that tend to be dramatized on television and in the news are only one small piece of the known and unknown dangers our imprisoned family members face. My family spent weeks praying that my father’s prison would not be overrun with the H1N1 flu when that was a major public health concern in the U.S. Hepatitis and HIV/AIDS epidemics course through some prisons like wildfire. Large populations confined in small spaces have enormous public health concerns. In an earlier post on this blog, I asked people with loved ones in Texas to write letters to protest new measures that would further overcrowding in Texas prisons without expanding the restroom facilities that my father already shares with more men than were intended to inhabit his dormitory. (For now at least, that threat has abated, and plans to add more prisoners to that wing have been withdrawn.) The public health threat that this posed cannot be accurately measured, but it could be disastrous. Prisoners’ families also fear that those we hold dear might be allowed to die or become incapacitated before the prison system would offer them adequate health care. My father has personally known three men died of treatable health conditions because prison officials refused to provide them with the health care they actively and repeatedly requested. My heart and mind today are with the surviving prisoners in Honduras and the families of those who lived and those who died. Let us learn from this tragedy and not forget about the millions of people all over the world who live in locked cells, their safety in the hands of those who confine them. May those who are charged with being captors and guards, prison administrators and lawmakers see fit to protect the safety of those whose lives they hold in their hands. We, the families, stand vigilant and hope you will protect the ones we love. Every summer for the past four years, I have served as a mentor in the Moore Undergraduate Research Apprenticeship Program at the University of North Carolina at Chapel Hill, working with minority undergraduate students to prepare them to enter doctoral programs in the arts, humanities, and social sciences. In addition to mentoring two students with research interests similar to my own, I teach a communication skills workshop for all of the twenty-four or so students in the program each summer. On the first day of this workshop in the summer of 2010, I paired up the students for an introductory activity and ended up participating in the exercise myself when we discovered we had an odd number of students in the room. 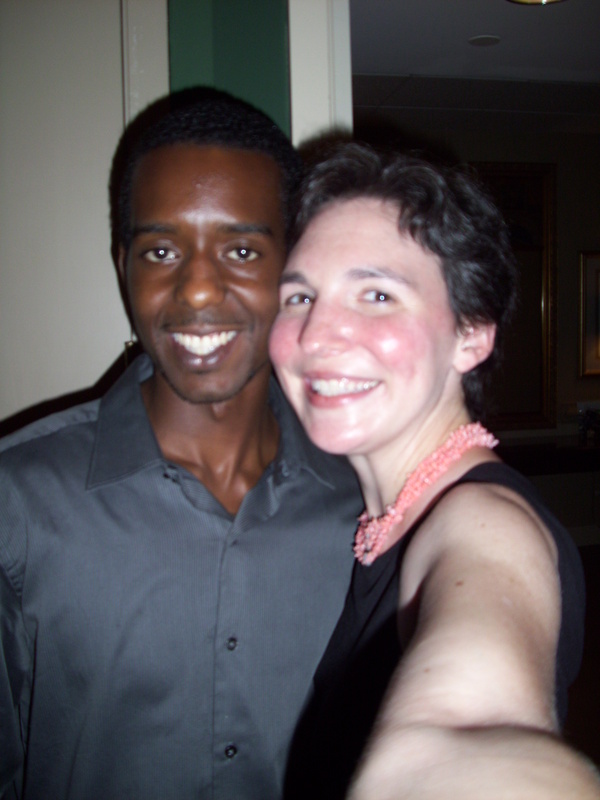 It just so happened that my partner was a young man named Damion White, who was at that time a rising senior at Georgia State University. I had given the students the task of introducing themselves to one another by talking about their hometown, their research interests, and how they felt about pursuing a Ph.D. Fairly quickly into our conversation Damion stated that he knew he was not like the other students in the room. He came from a working class background and perceived most of the members of his cohort as being more savvy in their abilities to navigate the complex world of higher education. I introduced myself to Damion by stating that I always felt out of place in graduate school because so few people around me understood my struggles as a prisoner’s child. Damion’s eyes lit up. “Me, too,” he said. “My father’s been in prison almost all my life.” For the rest of the summer, I became a secondary mentor to Damion in the program, and we had many conversations about the challenges that prisoners’ children face in educational settings. Damion’s MURAP research project, directed by Dr. Patricia Parker in UNC’s Communication Studies Department, dealt with strategies for preventing the incarceration of young African American men. In 2007 Dr. Parker founded a local community organization called the Ella Baker Center, and each summer she takes her MURAP students to work with youth in a Chapel Hill housing project. Damion led a workshop to engage kids in dialogue about incarceration in their community. About halfway through the ten weeks of MURAP that summer, I received an email from local prison activists about an event where scenes from Against the Tide, a very moving documentary film about a faith-based reentry team for two men being released from prison in Orange County, North Carolina. I knew the filmmaker Alan Julich, the two formerly incarcerated men featured in the film, and many members of their reentry team, and they are doing the vital and difficult work of creating the kind of world in which people coming home from prison can build productive and successful lives. The idea behind a faith-based reentry team is that a group of about a dozen people work with a prisoner from a year or two before her/his release through the years following that person’s exit from prison. The team is large so that the prisoner has a community of support, and the team members do everything from mentoring to helping the reentrant find employment, transportation, and housing. Both of the two reentrants featured in the film, Bill Razor and LeJohyn Holland, had been incarcerated since they were teenagers, had served more than two decades, and had no family to help them upon their release from prison. Without their reentry teams, it is very likely that Bill and LeJohyn would have been unable to find jobs or places to live, and they may have ended up returning to prison in fairly short order. To the best of my knowledge, both LeJohyn and Bill are still gainfully employed and living peacefully, as they were when I last saw them months ago. Their reentry team continues to be a part of their lives, and from what I understand, everyone involved feels that their lives are richer and better for this experience. My husband Phil and I attended the screening of Against the Tide and brought Damion with us. Damion had never previously attended a gathering of prison activists, and he was visibly moved by what he saw and heard that night, especially when LeJohyn Holland spoke. After the event ended, Phil, Damion, and I went to a coffee shop to talk and process what we’d seen and heard that night. Almost as soon as we sat down at a table with our coffee, Damion took a large sheaf of papers from his backpack and said that he wanted to read to us his father’s letters. He read to us for nearly an hour, and he and I wept together, while Phil buried his face in his hands. The love between father and son poured out of the pages, and even when Phil and I offered to read a passage from the letters silently because Damion appeared to be too choked up to continue, Damion refused. He took a moment to pull himself together and continued. He needed to speak the words aloud, to use his own voice to bring as much of his father into the room as he could. I understood this completely–the irrepressible need to make his father as fully embodied and present in that moment as he could, the urgent desire to make visible the man who has always been hidden from the people in your life who cannot enter the prison with you. Frederick White, Sr., has now been incarcerated for twenty-three years, and Damion, his youngest son, cannot remember a time when his father did not live inside a prison. I have never met Mr. White, but we have corresponded a few times. I felt the need to tell him what an extraordinary person Damion is, to say how much I admire Damion’s compassion, his desire to help others, and his commitment to social justice. I also wanted Mr. White to know that his son carried his letters from Georgia to North Carolina for the summer. Damion obviously did not bring these letters with the intent to share them with anyone. He and I had no idea that we would meet or bond over being prisoners’ children. Indeed, Damion, like so many prisoners’ children I have met, had hardly told anyone about his father’s incarceration and had only ever shown these letters to his girlfriend of many years. He carries his father’s letters because they are beautifully written, because they are full of the love that Frederick could seldom deliver to his son in person, because they are what he has. Prisoners’ children, especially those who have never really known their parents outside of a visiting room, have very few tangible objects to link them to their absent parents. Letters are sacred texts, artifacts to be preserved at all cost. I have every letter my father has ever sent me. They fill boxes in my attic and under my old bed at my mother’s house. The newest ones go into a large box in the closet of my office at home. I know where all of them are and would be devastated if I ever lost them. Even before my father’s incarceration, I have always loved mail–real mail that gets delivered by a postal worker; I have no emotional attachment to email, but letters are treasures. My husband won my heart in years of correspondence, and my father’s letters, which still arrive about once a week, bring me great joy and comfort. I love to see his handwriting on the page. My fingers can touch the paper he recently held. In the absence of so many years of everyday hugs and the physical presence of a father in the home, I long for these smallest of tactile connections to him. This likely makes me sound crazy, but it is my reality, one that I suspect I share with a great many prisoners’ family members. This year Phil and I sent Christmas cards to both Damion and his father. We hadn’t heard from Damion in a long time, and I’d been worried about him because I knew he should have heard the result of his father’s most recent parole review by now. The news could not be good because if it had been, Damion would have told me. I received a letter from Frederick in mid-January, thanking me for the Christmas card and letting me know that he had been given five more years until his next parole review. The devastation that these parole denials bring upon prisoners and their family members can hardly be described. Many of us survive the long years of incarceration by imagining a better future, one in which we can enjoy the mundane pleasures of afternoons in the company of people we love and being able to share meals together. Each time the parole board denies us the chance to reunite our lives, we have to reset our emotional clocks. We count the coming milestones that we will miss in the coming years. We picture ourselves at the ages we will be when we might live as a family again. We measure the health concerns that our incarcerated loved ones are battling and hope that they can stave off any significant medical distress for the number of years between now and when you can take your family member to a free world doctor. I was so glad to receive your email when I did. To say that God works in mysterious ways if by far an understatement. I say this because (after not speaking with you for so long) I received and read your email when I was about 30 minutes away from [a prison] in Ohio, on my way to see my father for what I can remember as maybe the third or fourth time I’ve ever sat with him physically. They visited for five hours–the longest stretch of time they have ever spent with each other. Damion lives in Georgia, and getting to Ohio for a visit with his father has been an extraordinary challenge in terms of both time and money. He has graduated from college now and is soon to be a father. With this new joy comes the knowledge that Frederick White will only be able to meet his grandchild in a prison visiting room when Damion and his girlfriend have the resources to make the journey. Much of Frederick’s relationship with this child, at least for the next five years, will largely take place in the letters that he and Damion exchange. Damion carries his father’s letters, and by doing so, he strengthens his family. 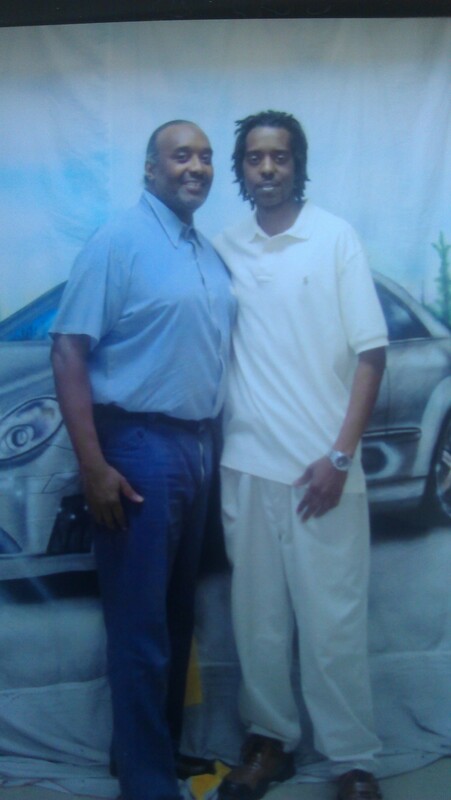 Many thanks to Damion and Frederick White, Sr., who both gave their permission for me to write about them. As I mentioned in an earlier post on this blog, I’ll be heading to Albuquerque, New Mexico, from February 21 to 26 to participate in the Prisoners’ Family Conference. Carolyn Esparza, director of Community Solutions of El Paso (the organization hosting this conference), invited Jodie and I to lead an advocacy workshop at the conference in addition to speaking about Razor Wire Women. Unfortunately, Jodie will not be able to attend the conference, but I will keep her in the loop about all that happens there. Part of the work that Carolyn Esparza charged me with doing in the advocacy workshop is to collaboratively develop a Bill of Rights for Prisoners’ Families with the conference attendees who come to the session. Whether you are able to come to the conference in Albuquerque or not, I would love to hear from people reading this blog about what types of things should be included in this document. Our hope is that this Bill of Rights for Prisoners’ Families could be taken to state and federal legislators to help them better understand our needs and to establish a path to legal recourse for prisoners’ family members who have been denied access to visitation or vital information about their incarcerated loved ones. Prisoners’ families were neither tried nor convicted of the crimes for which their incarcerated loved ones were sent to prison, and our rights are related to but distinct from the rights of incarcerated people. Prisoners’ family members, particularly children, should be guaranteed regular access to their incarcerated loved ones in the forms of visitation, phone calls, and written correspondence. Prisoners’ family members should have extended visitation rights when a prisoner is hospitalized or severely ill.
Prisoners’ families should be informed in a timely manner when prisoners are injured, diagnosed with a serious illness, or having a medical procedure. Prisoners’ family members should be informed in a timely manner when prisoners are transferred to another prison or jail and when they are released from state custody. The process for notifying prisoners’ family members about a prisoner’s transfer to another facility, release from prison, death, or medical problems should be codified, and the procedures should be written down and communicated to prisoners’ family members. When applicable, prisoners’ family members should be allowed to participate in treatment and reentry programming for prisoners so that they can aid in prisoners’ recovery and preparation for reentry. Please comment on this post and/or contact me through the Contact Us portion of this website to add your concerns, thoughts, and constructive criticism to the drafting of a Bill of Rights for Prisoners’ Families. This document will be more effective and more comprehensive if many prisoners’ family members contribute to it. I will provide updates on this website after the conference about the process of drafting this document and where the conference participants imagine that it might be used. If you will be attending the Prisoners’ Family Conference and would like to participate in the advocacy workshop, please look for my name in the conference program. Your thoughts and presence would be most welcome.